This post is sponsored by Nielsen-Massey Vanillas. All opinions are mine alone. 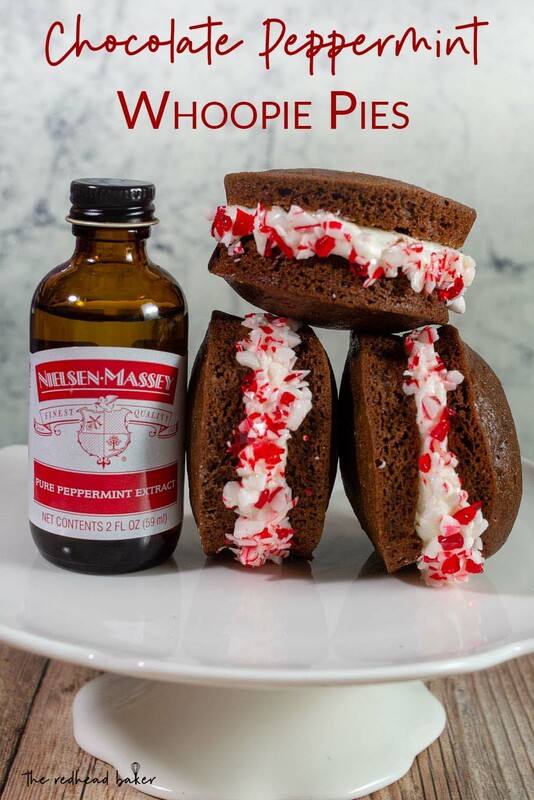 Chocolate peppermint whoopie pies take the classic sandwich cookie and give it a Christmas twist with peppermint-flavored cream filling. Holiday baking is one of my favorite activities. From the smells to the flavors, everything fills me with joy and nostalgia. I remember baking with my grandmother. I remember sneaking bits of cookie dough, and the aroma of baking cookies. And now I’m making new memories, baking with my son. And I love seeing people’s faces light up when I give them a plate of holiday cookies. After all, who doesn’t love a home-baked plate of cookies in a variety of flavors? Chocolate chip cookies, oatmeal cookies, sugar cookies, gingerbread cookies and more! Whoopie pies originated among the Amish in Pennsylvania, and are also quite popular in Maine. While traditional whoopie pies are quite large, I make mine in muffin tins to help with uniform sizing. The soft cookies are almost more like cakes than cookies, but whatever they are, they are quite delicious. 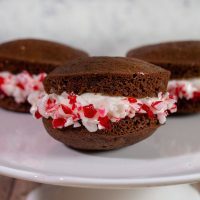 While traditional whoopie pies are filled with a marshmallow-cream-based filling, these are filled with a peppermint-flavored cream cheese frosting, then rolled in crushed peppermint candies. The flavors of this cookie come from the Holiday Flavors Bundle from Nielsen-Massey, a family-owned and operated producer of premier pure vanillas and flavor extracts. 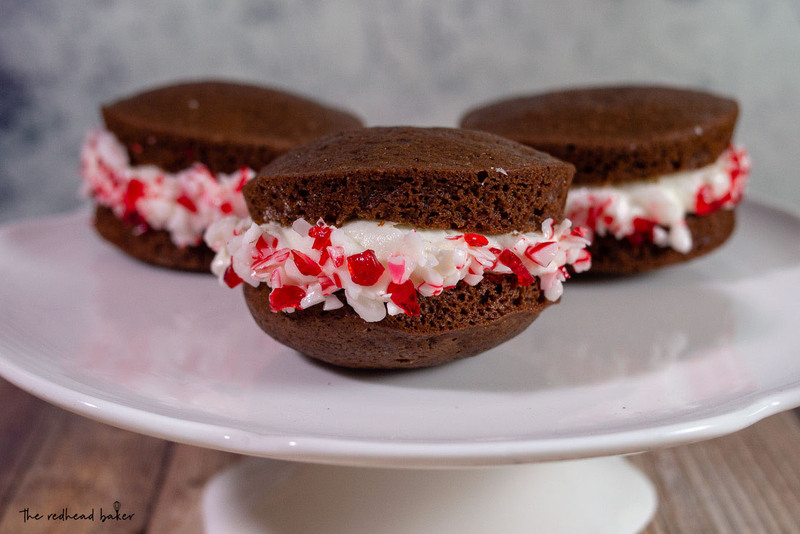 Want to make your own chocolate peppermint whoopie pies? 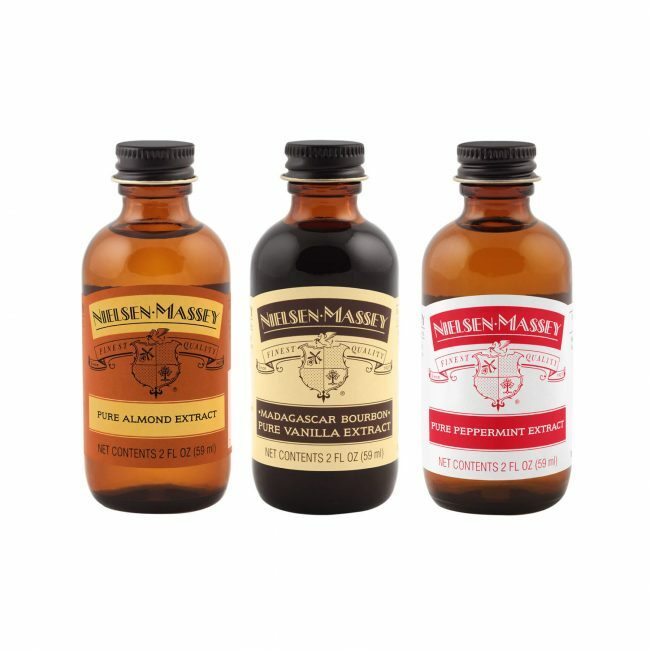 You can win your own Nielsen-Massey Holiday Flavors Bundle! If you want to give the gift of holiday flavor to the baker in your life, the bundle is also available only on Amazon in 2- and 4-ounce quantities. Preheat oven to 350°. Spray two 12-well muffin tins liberally with nonstick spray. Whisk flour, cocoa powder, baking soda, and salt in a medium bowl; set aside. Whisk eggs, oil, granulated sugar, brown sugar, yogurt, and vanilla in a large bowl until well combined. 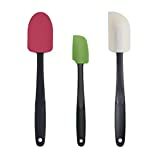 Gradually whisk in dry ingredients until just blended, carefully scraping down sides of bowl with a rubber spatula. The batter should be a bit stiff. If not, whisk in another one to two tablespoons of flour. Using a small cookie scoop, portion the batter evenly into the two prepared muffin pans. 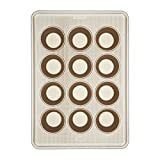 Place in the oven and bake whoopie pies 8 to 10 minutes, rotating the pans 180 degrees halfway through baking, until they spring back when touched. Transfer to a wire rack; let cool completely. 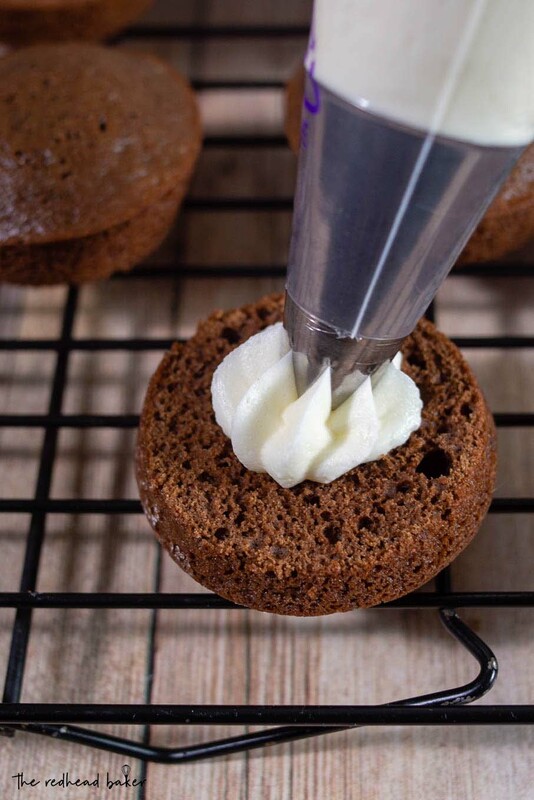 While the whoopie pies are baking, make the filling: In the bowl of an electric mixer fitted with paddle attachment, beat together cream cheese and butter on medium speed until fluffy, about 3 minutes. Scrape down sides of bowl as needed. Reduce mixer speed to low; add peppermint extract and salt, and mix for 30 seconds. Gradually add confectioners' sugar and mix for 1 minute. Transfer the filling to a disposable piping bag fitted with a plain or star tip. Turn half of the whoopie pies upside down, and pipe a layer of filling onto each. Top with remaining whoopie pies. Place the crushed candies in a shallow dish. 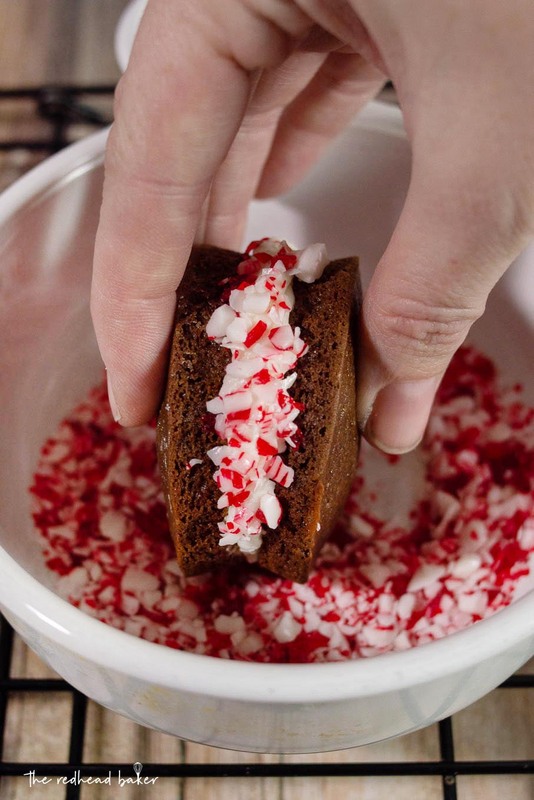 Roll the exposed whoopie pie filling in the crushed candies to coat. Store in an airtight container in the refrigerator if not serving immediately. Oh my goodness, these look incredible! I have been thinking of making peppermint cake truffles this year for my Christmas cookies! One of my favorites is chocolate chip with walnuts. Those are beautiful to behold. They would look lovely served on a big Christmas plate. My favorite Christmas cookie is a sugar cookie with peppermint flecks in it. I would not be able to resist those! My favorite Christmas cookies are Russian Teacakes. Spritz are my favorite! That almond extract would be delicious in my spritz recipe! My favorite is my mother in laws shortbread cookies- soooooo flakey! I like to make snickerdoodles this time of year – those are my favorite. My favorite are oatmeal scotchies, but that has more to to with the handful of butterscotch chips I eat before we make them!! Vanilla Pizeelles are my favorite, with Spritz cookies a close second.